I’ve previously written about Star Trek technologies like the dermal regenerator. 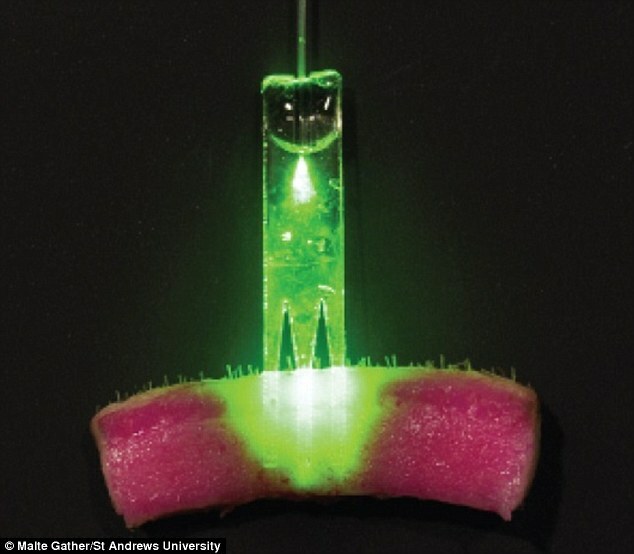 At that point there were some promising studies being made using LED light to stimulate cell regrowth. This technology however shows even more promising results. This time using green laser light to activate a special compound that bonds collagen molecules together. Tests showed the method could bond a wound in pig skin together in around 15 minutes. Furthermore, the treatment results in a bond that is almost six times stronger than regular nano-suturing. One of the main staples of this technology is the ability to combine it with fiber optics to deliver the light treatment deep inside the body. No doubt this is amazing progress, probably the technology can already save some lives at this point. And in the future it might mean that if you get a cut you just apply the compound and shine a laser on the wound for a minute or two.